In this age of advanced technology, use and abuse go hand in hand. While there are amazing innovations done through the Internet, there are attackers and hackers wreaking havoc by damaging web security. Considering this situation, it is extremely important to have a sound security system in place that prevents any kind of attacks or bugs in the network system and prevent attackers that look for illegal access to sensitive data. There are numerous instances where attackers gain access to networks and steal data, such as customer accounts and credit card records. These are done to perform illegal activities like cyber crimes, hacking, financial fraud and so on. One of the main reasons why attackers target web security to steal sensitive data is due to the fact that back-end databases have a history of the associated data when users browse different kinds of web application. This is where the job of the web firewall comes into the picture. Effective firewalls even are used to secure third-party applications in case the organization does not have the source code. With an increasing number of data thefts taking place, it has now become a mandate to install a WAF as part of the policy or regulation. There are different ways through which a WAF is deployed. For example, they are deployed through hardware, virtual software or a cloud-based platform. They can even be deployed in a particular server related platform to work directly with web applications. The firewall intercepts the Hypertext Transfer Protocol (HTTP) requests and makes them ineffective by the time bugs or web attack servers are able to process them. This leads to processes, such as the hijacking of web sessions, buffer overflows, cross-site scripting (XSS), and Structured Query Language (SQL) interruptions. In case an attack is detected, the WAF can block particular requests from reaching the recipient. Web applications and firewalls are also customised to prevent specialized bugs and attacks. Unless you have a good firewall in place, it is extremely difficult to identify the bugs. This is one of the main reasons why agencies and companies look for good firewalls that can look for brand new attacks like zero-day web application bugs, which were not heard of even some days back. WAF automation features are extremely effective as they have comprehensive Application Programming Interfaces (APIs). The APIs enable agencies and companies to deploy processes that are up above the existing functionality of the standard management interfaces of firewalls. For instance, the API can be used to revise particular WAF rule in an automatic manner and prevent an abnormal activity to take place. Likewise, an API can also be used to send another enterprise security process to respond to a specialized attack. The APIs also provide constant updates to make the user aware of the latest bugs and web application attacks. Firewalls, if integrated with application security tools can automatically make customised policies and help identify the vulnerabilities and prevent them. It can improve the accuracy of detection to a great extent and lead to a reduction in staff workload. To put it simply, WAFs are extremely useful to protect web applications by a number of features like blocking access, providing advanced feeds for threat intelligence, and high-quality capabilities related to automation. Be it whatever, your security lies to an extent in your hands. 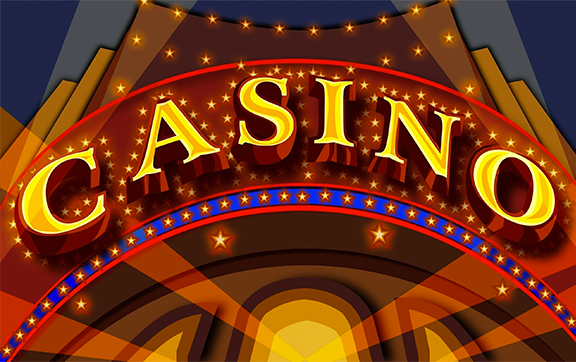 For instance, you can make an informed choice about choosing the right payment method online such as pay by mobile casino app to ensure that you do not fall prey to such hacking and unethical practices.